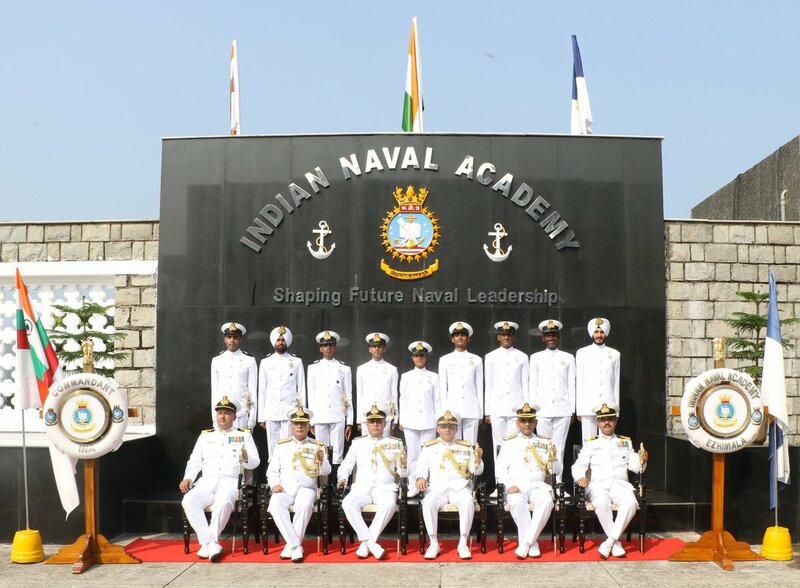 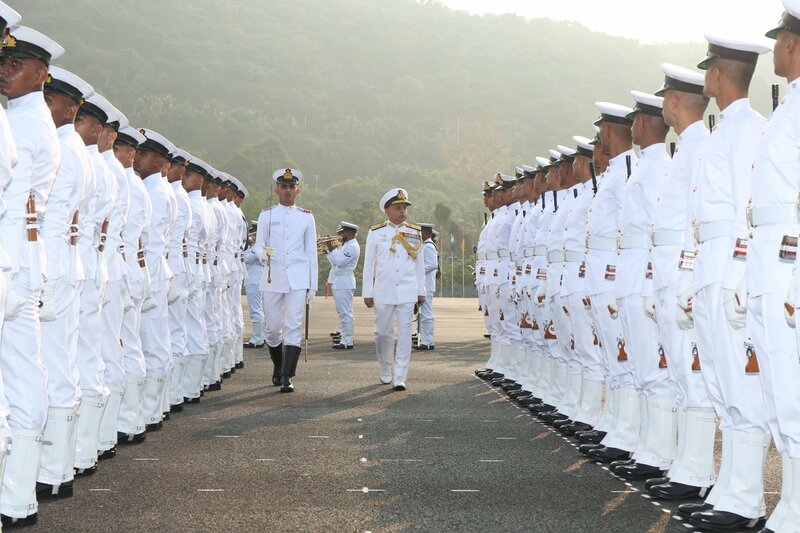 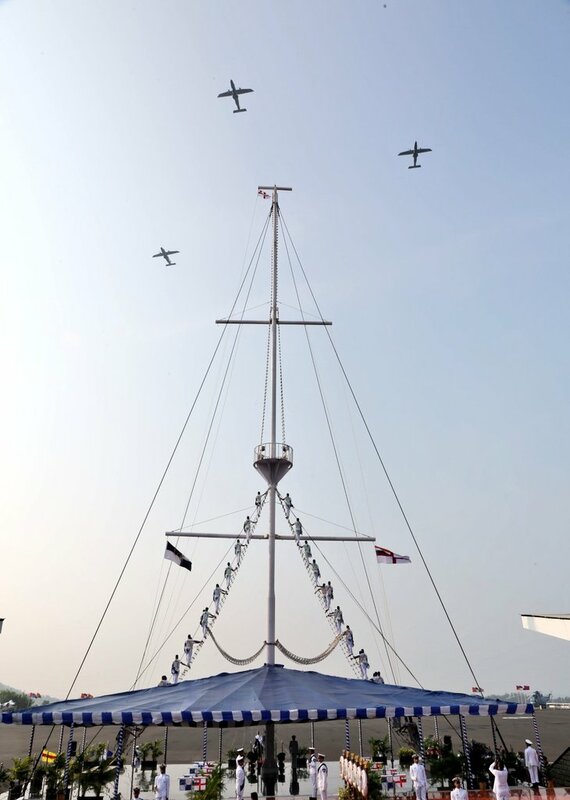 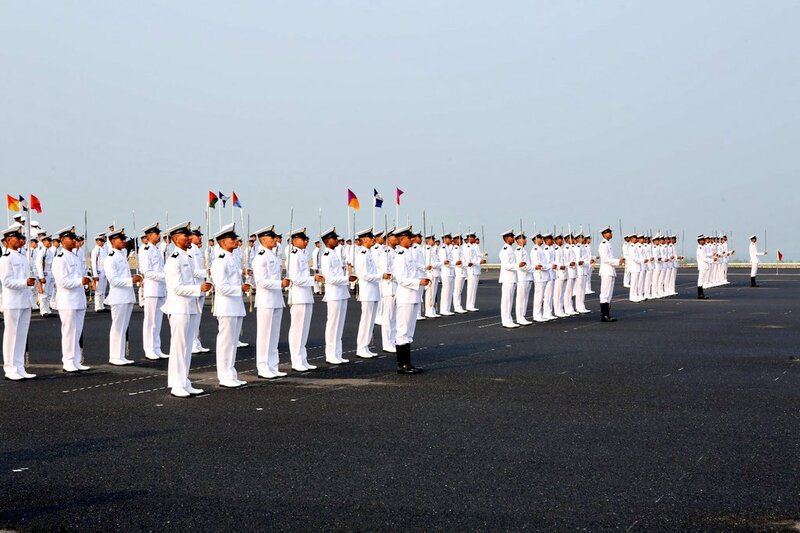 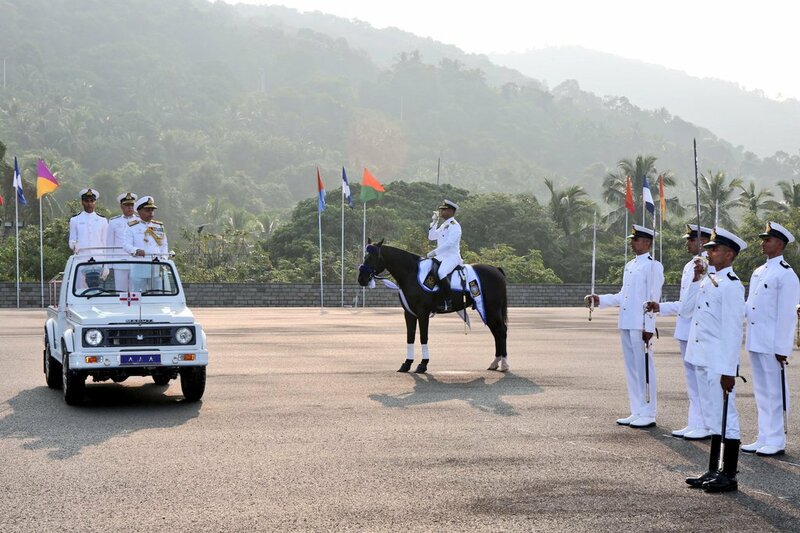 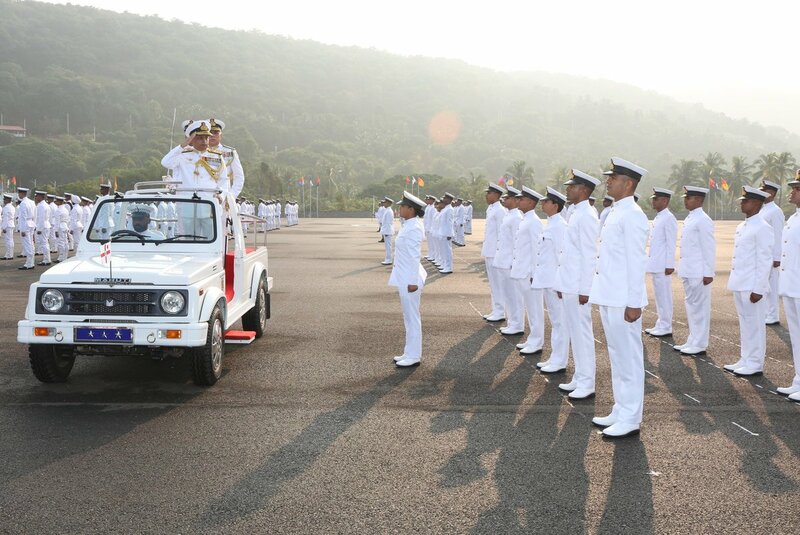 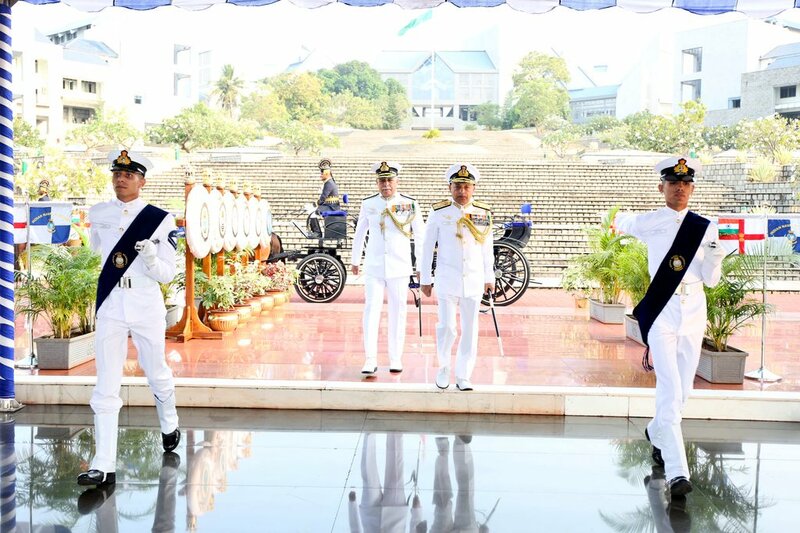 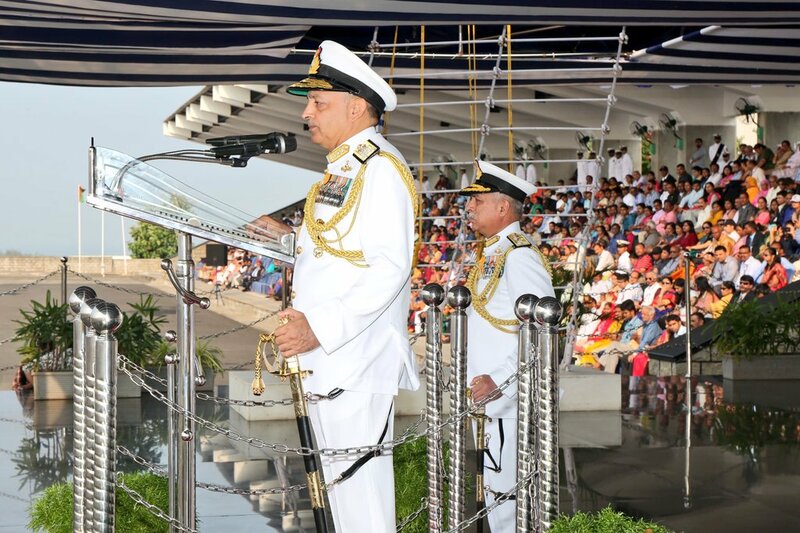 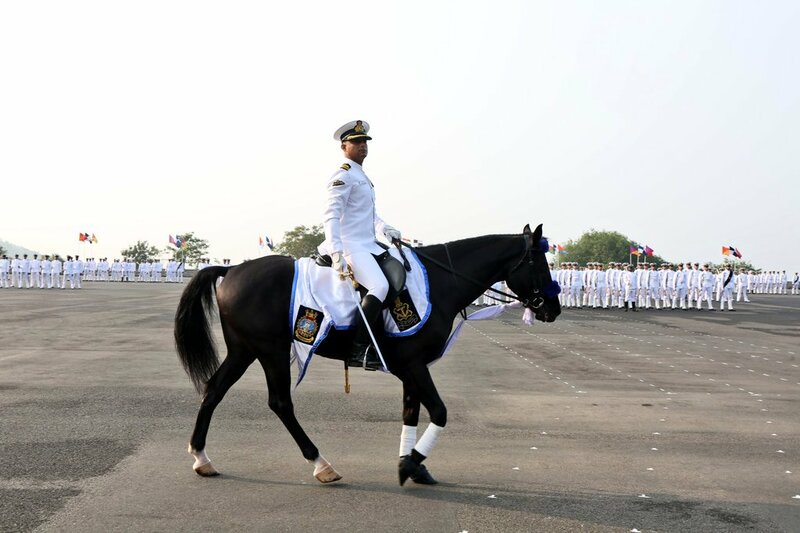 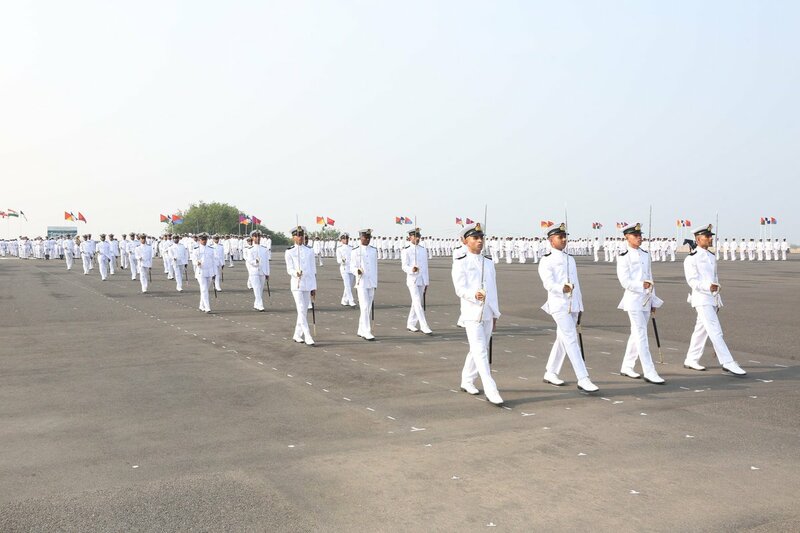 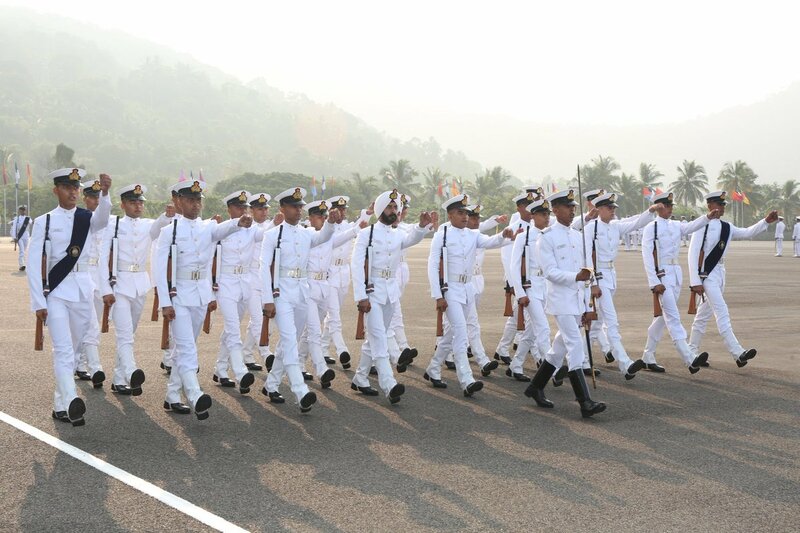 The grand parade was reviewed by Vice Admiral Anil Kumar Chawla, AVSM, NM, VSM, Flag Officer Commanding-in-Chief, Southern Naval Command, who awarded medals to nine meritorious Midshipmen and cadets after the ceremonial review. 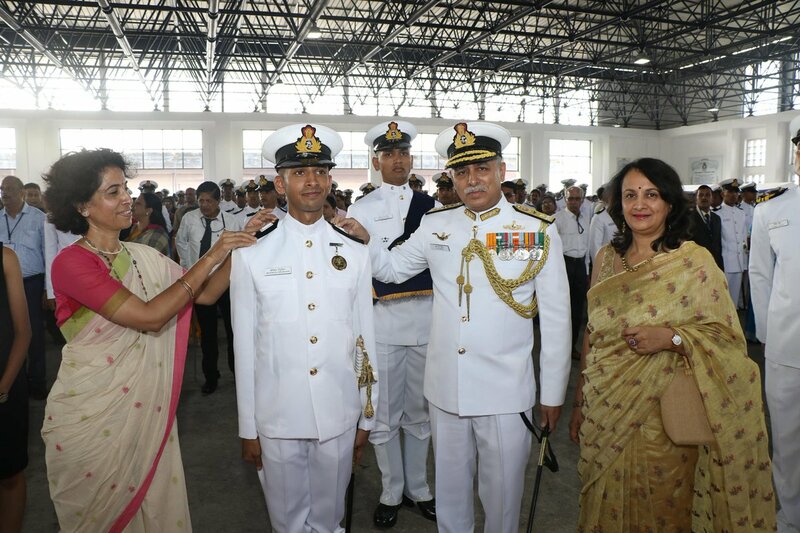 The parade was also witnessed by the proud parents and guardians of all Midshipmen and cadets. 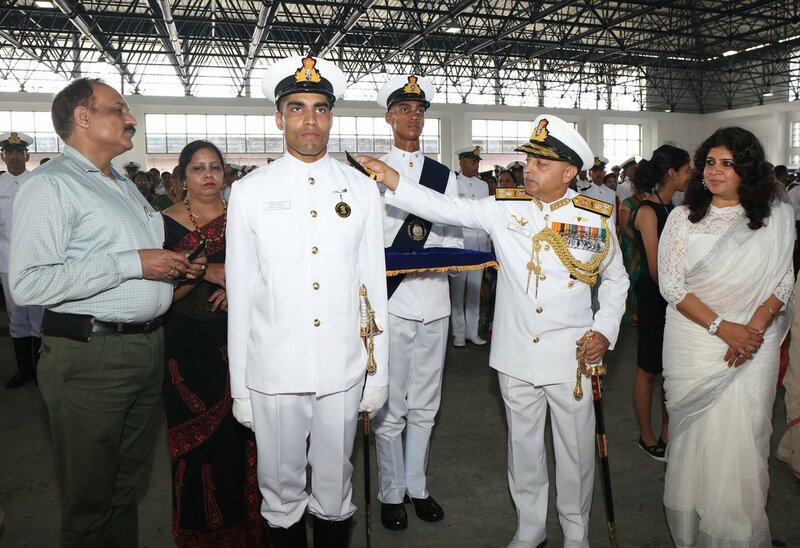 The ‘President’s Gold Medal’ for the Indian Naval Academy B.Tech course was awarded to Midshipman Vikrant Nagpal. 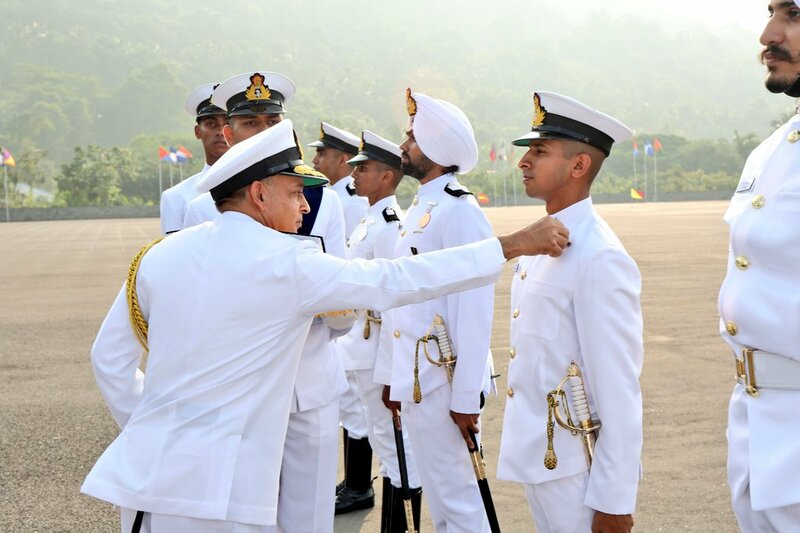 The ‘Chief of the Naval Staff Gold Medal’ for the Naval Orientation (Extended) Course was awarded to Cadet Hrushikesh Vengurlekar. 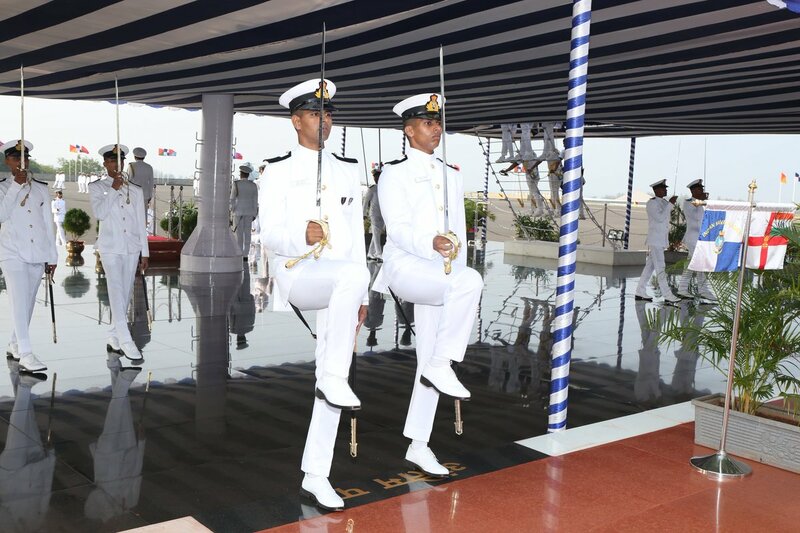 The ‘Chief of the Naval Staff Gold Medal’ for the Naval Orientation (Regular) Course was awarded to Cadet Samson Moses and the ‘Flag Officer Commanding in Chief (South) Medal’ for the best women cadet was awarded to Cadet Anuradha.